I’d been traveling for hours and I was delirious. I rolled into Canton, Georgia at 9PM on a Tuesday. I decided to check into my hotel before going to dinner. As it turned out, that put me in a situation where no restaurants were open. Most closed in that area at 9PM. 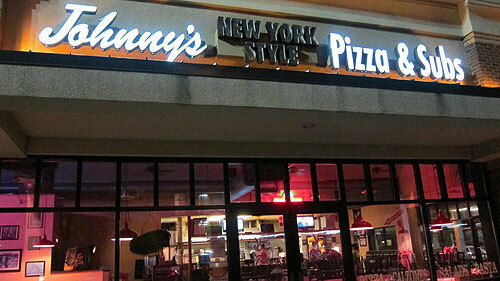 I saw Johnny’s New York Style Pizza & Subs and stopped by, being an absolute lover of NY style pies. The outside lights were off and the open sign was turned off. I walked in and they were already cleaning up. They closed a few minutes earlier. If I’d have gone there instead of checking in to my hotel first I would have made it. The staff there was cool though, and told me I could order take out. I was very thankful that they accommodated me, even though they could have just turned me away. THEN it hit me. They had Strombolis on the menu! My favorite! After talking to the staff for a while, they told me to just sit down and enjoy and not worry about having to take my food to go. 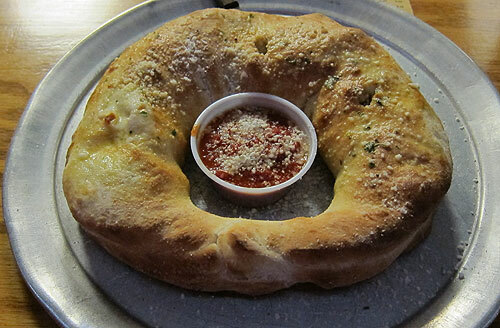 The Stromboli was FANTASTIC and quite creatively presented (see picture below). Look at this beauty! It was big too. Couldn't polish the whole thing off, but I tried my best. Unfortunately there isn’t a Johnny’s anywhere near home for me. But if I’m ever on the road again, I’ll be searching them out. And many thanks for taking care of me after closing hours. That’s GREAT customer service, a lost art.